President Barack Obama. (Alex Wong, Getty). The idea of the ‘philosopher king’ comes from Plato’s Republic, where the author argued that the best government is one ruled by a philosopher. 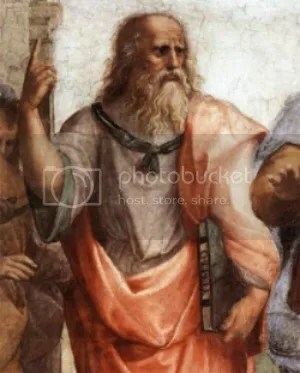 According to Plato, philosophers are more intellectually and morally suited to rule than politicians, because their nature is to seek truth rather than self-fulfillment. On the other hand, philosophers rise above the petty desires of politics, and dedicate their time to improving the lives of their constituents. However, the philosopher king’s altruistic approach to public welfare may encounter problems in today’s complex globalized world, where national security policy demands foreign intervention to subdue threats to global stability. The most recent example of ineffective philosopher king foreign policy is President Obama’s prosecution of the Syrian civil war. 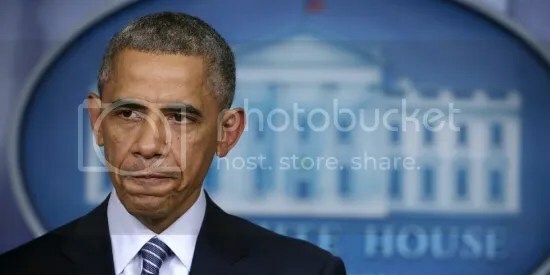 In 2011, as the Syrian conflict erupted, Obama began to formulate his response. At that time, conventional US foreign policy toward Arab country uprisings tended to be ‘militant’, the 2011 NATO intervention in Libya being an example of traditional Washington policy in the Middle East. Nonetheless, Obama took a restrained approach to Syria, opting to keep America out of another Middle Eastern conflict. Having run for president on his opposition to the 2003 Iraq invasion, and with the consequences of Libya fresh in mind, Obama fashioned a policy reminiscent of Plato’s Philosopher King- he chose diplomacy instead of armed intervention for the benefit of the American people. 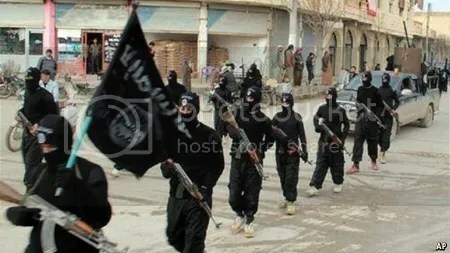 ISIS militants in Syria. (AP Photos). As the Syrian war became more violent in 2011, Obama called for Assad to step down. With no credible external pressure to leave office, Assad ignored the command and increased the intensity of the war. In August 2013, Assad further escalated the conflict in gruesome fashion with a large-scale chemical attack. In response, Obama sought congressional approval for military intervention to punish Assad for violating the international chemical weapons ban. Congress was unpersuaded by Obama’s plan, and indicated they would not authorize the intervention. Obama then formed an international effort, led by the Organization for the Prohibition of Chemical Weapons (OPCW), to eliminate Assad’s chemical weapons stockpile. In 2016, OPCW announced that the last of Syria’s chemical weapons had been destroyed. Ostensibly, Obama had eliminated Assad’s chemical arsenal, while also safeguarding American troops and treasure. But Obama’s policy fell markedly short- Assad’s 2017 chemical weapons attack on civilians showed that OPCW’s 2016 declaration had been premature. As pressure to intervene in Syria rose in 2014, Obama offered a plan to arm Syrian rebels. Soon after Obama’s request, Congress appropriated funds to train and arm 15,000 rebels to fight the Assad regime. Unfortunately, the program produced little impact on the conflict, with the administration acknowledging that only a handful of the recruits actually fought in the war. The chaos and horror of the Syrian civil war- nearly 500,000 dead, continued use of chemical weapons, a power vacuum filled by groups like ISIS- demonstrates the hazards of prosecuting modern foreign conflicts with the mindset of a philosopher king. In Obama’s case, his belief that America was best served by not engaging in the Syrian war conflicted with modern US foreign policy. Traditionally, US national security is achieved using ‘soft’ and military power to intervene in foreign crises and promote global stability. In Syria, Obama stepped away from this approach and withdrew American power from the region. Without foreign intervention the conflict worsened, producing hundreds of thousands of casualties and emboldening extremist groups like ISIS. Plato wrote about ‘Philosopher Kings’, rulers who put the people ahead of their own interests. (http://www.laphamsquarterly.org). Relatedly, Obama seemed to believe that engaging ISIS in Syria would not further US national security interests. However, it has become clear that the war on terror does not adhere to political borders, and intervention in foreign conflicts is often necessary to keep groups like ISIS from gaining momentum and launching attacks around the world. Modern humanitarian crises hold a similar disregard for political boundaries. The Syrian civil war exemplifies this idea, with refugees fleeing the conflict and pouring into Europe and neighboring countries. While some found safe havens, the mass migration has caused political and social instability in Europe and the Middle East. In turn, US national security has suffered as foreign nations contend with destabilizing immigration and mobilized extremist groups. In all, modern geopolitics challenge the methodology of the philosopher king. Our complex and interconnected world requires national security policy that extends beyond a country’s borders, for it is insufficient to pursue domestic security based on the axiom that isolation is a viable policy. Instead, modern foreign policy may often require pragmatic armed intervention to ensure national security. With Obama, he prosecuted the Syrian war based on his own verity- mostly formed during America’s war on terror- that US intervention would negatively impact the nation’s safety. In part, Obama might have been correct. But his policy shows the peril of ruling like a philosopher king- our interconnected world does not lend itself to a single axiom for securing the homeland. Rather, the complexity of modern conflict casts doubt over a ruler’s singular sense of truth, and instead requires multiple sources of pragmatic input and strategy to ensure national security.